It’s no secret that the Padres were one of the worst teams in Major League Baseball in 2018. This isn’t news to anyone, as the season was always meant to be one for development and opportunity as many rookies made their debuts for the Friars. With that being said, 2019 will be a critical year for the development of the team as well as the organization as a whole. Upper management has floated 2020 around as the target year for the team to compete, but an established core, or at least the makings of one, has to be in place before the Padres are expected to win. The current roster has many holes and as currently constructed probably isn’t making much noise in 2019, even though GM A.J. Preller thinks it can. 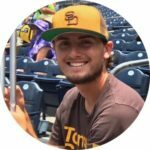 With the offseason still in its beginning stages, here are just three moves the Padres could make if they really want to move their timeline up one year. 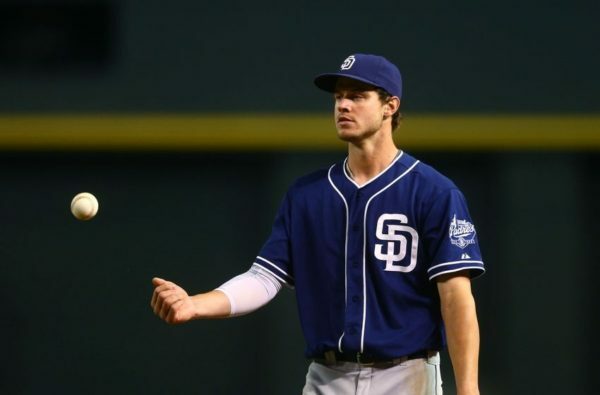 Right now the Padres are operating with a very deep outfield and bullpen so the odds of them picking up high-end talent at either of those positions are very slim. They also have Eric Hosmer locked in at first base and the catching duo of Austin Hedges and Francisco Mejia behind the plate, so don’t expect the team to splurge on Yasmani Grandal or pick up any first-base-only types. The only other position the Padres probably aren’t adding at is second base, as Luis Urias will be given a chance to lock down the position long term. If the season started today, Wil Myers and Christian Villanueva would be the team’s best options at the hot corner while Javy Guerra and Greg Garcia represent the only shortstop options on the 40-man roster. Myers is better suited for the outfield and Villanueva cooled off significantly after a scorching-hot April, so an addition here makes sense. Garcia profiles more as a utility player given his career 94 wRC+ and Guerra struck out 36% of the time in Triple-A, so there’s also an argument to be made that the Padres need a stop-gap shortstop as they wait for Fernando Tatis Jr.’s arrival. In the rotation, the Padres threw 12 different pitchers out there to make at least one start in 2018 and will be looking to add to that group as the offseason progresses. Their rotation lacks proven options and would really benefit from the acquisition of at least one front-line starting pitcher, even though many of their top prospects could fill that role one day. In summation, the Padres have too many outfielders, a glut of relievers, and lack quality options in the rotation and on the left side of the infield. If I’m A.J. 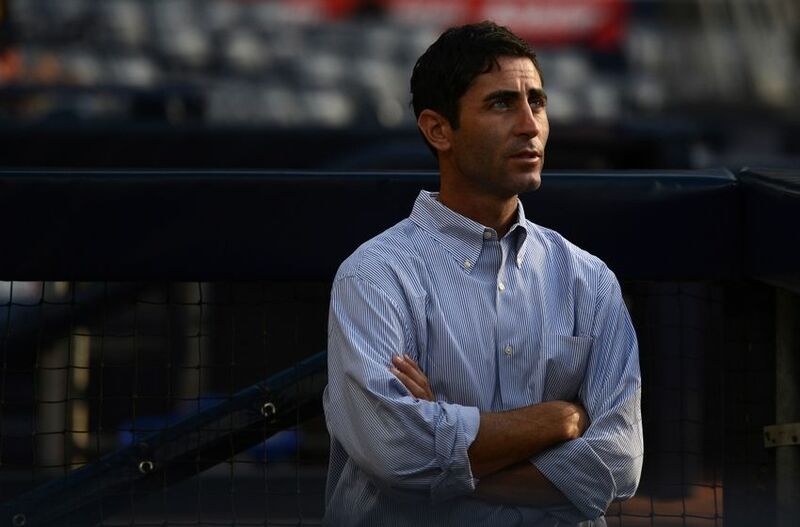 Preller (and I am for this exercise) I’m going after controllable starting pitching first, laser-focusing mainly on a one or two-type starter under control for two seasons at the very least. The Padres’ starters were last in ERA in the National League(5.09) and 2nd to last in FIP (4.71), so one starter won’t be enough if the goal is to at least make some waves in 2019. The market for starters is very saturated at this point as guys such as Patrick Corbin and Dallas Keuchel represent the best of free agency, and big names like Corey Kluber, Marcus Stroman, and James Paxton have found themselves on the block for various reasons. Corbin and Keuchel are more than capable pitchers, but they will probably both get offers exceeding five years/$100 million as both will be on the open market for the first time. 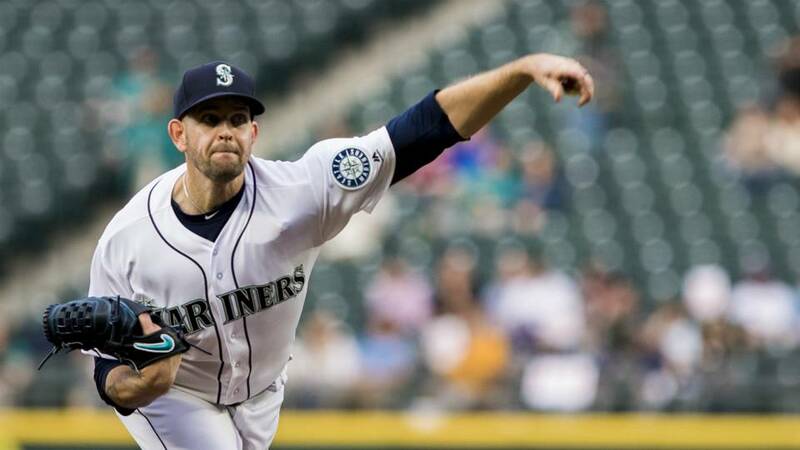 Pitchers are very volatile and locking one up for over three years can be incredibly risky, so for sake of flexibility, we’ll go make a trade for James Paxton. Now before we go on, please put the pitchforks away. Trading prospects are hard, but the system is deeper than it has ever been and the 40-man roster can only have so many prospects on it. For Seattle, this could very well be a best-case scenario as they have one of the worst systems in baseball, but this move also fills an immediate need for them at the Major League level. Baez is the prize of course, as he has the ability to be a future two or three starter in the majors. Lawson’s upside is a bit lower, but he has above-average stuff and could be a very good bullpen arm if he doesn’t pan out as a starter. Allen came into 2018 with questions about his defense behind the dish, but improved his profile while also providing above-average offense in Double-A. His 130 wRC+ along with 22 home runs and .857 OPS are representative of his advanced bat and he will be exposed to the Rule 5 draft this offseason if he isn’t added to the 40-man roster. Seattle just traded their starting catcher and only have one left on their 40-man, so Allen would fit in just fine. In return, San Diego gets two years of an established starter who is actually getting better each year. A former top prospect, Paxton’s drawback has been his injury history. Topping 20 MLB starts the past three seasons, the Padres will be betting on a clean bill of health from Big Maple as his K% (from 22.9% to 32.3%) and xFIP (3.35 to 3.02) have been improving for three years. Now that we have our ace, we should supplement the rotation with another starter, this time a free agent. Gio Gonzalez is a guy who could give the Padres a good innings-eater on a short two-to-three-year contract and Nathan Eovaldi represents a high-risk/high-reward option that could help the Padres immensely. There are many other starters who could provide stability in the rotation, but there is one who I believe fits the best.